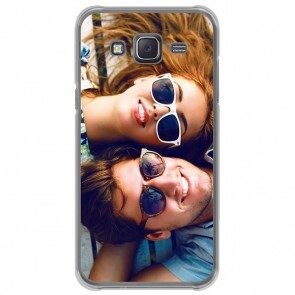 At YourCustomPhoneCase.com you can design a Galaxy j5 (2015) custom case. Attention! The page you're looking at is only available for 2015 models! Let your phone stand out by designing your own case. Your design comes on the back of the black hard case. Begin by clicking on which case you want to design. Then you can upload your favorite photo from your computer, Facebook or Instagram. Don't have a photo that you want to use? Then you can also design a Galaxy J5 case with one of our designs. You can even take your case a step further by adding text. In our simple-to-use design module, it's easy to create your own Galaxy j5 (2015) custom case. What are you waiting for? Place your order now and we will take care of the rest!